This is very elegant bridal lehenga. This is a full designer lehenga and has different kind of embroidery work and crystal work all over. The blouse is also fully embroidered from back side and front side. 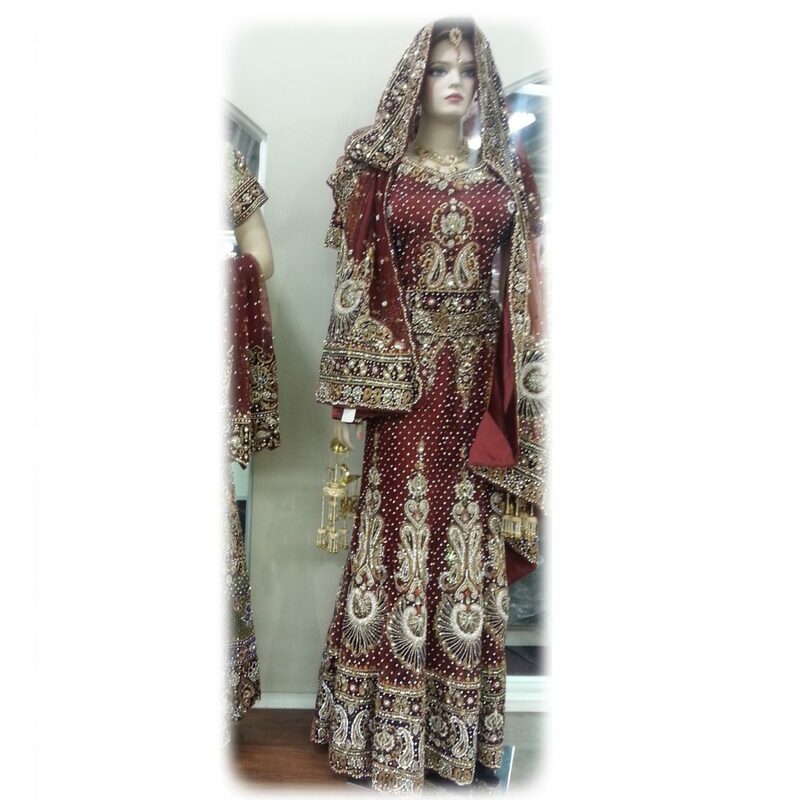 Dupatta (chunni) with this lehenga is fully designer Dupatta and has embroidery, stone work on it as well. This includes all accessories like sandals, parse, necklace, earrings, bangles etc. This is a very reasonable price you cannot get this kind of lehenga at this price even in India. We have alteration (tailoring) facility available here as well for free of cost.